GE14 | Pakatan Harapan chairperson Dr Mahathir Mohamad has announced that May 10 and 11 will be declared as public holidays if the opposition coalition wins the general election. "I don't like public holidays but I realise that others do. This one time only," the former premier told a briefing for Harapan's candidates in Petaling Jaya this evening. 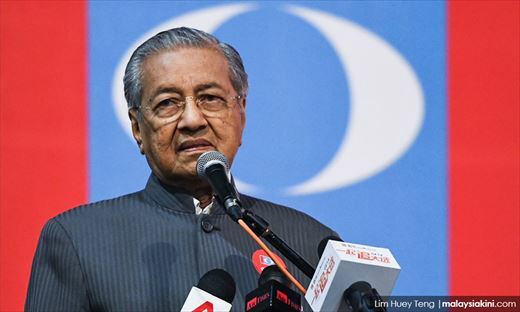 Given that polling day (Wednesday, May 9) has been declared a public holiday, Mahathir said Malaysians would get a five-day break if Harapan is victorious, taking into account the weekend as well. During the press conference, it was pointed out that there had been polling days set on a weekday during Mahathir’s time as prime minister. “It wasn’t critical that time and there weren’t many objections even though it (polls) was held on weekdays. There weren’t objections as severe as today,” Mahathir replied. The idea for Harapan to declare May 10 and 11 as public holidays should they win the coming general election was first mooted by Amanah strategy director Dzulkefly Ahmad. He said the extra holiday is to provide voters an extended weekend without the need to rush back to work. at 93 , TDM thinks more cleverly than us. He is an awesome wise man, thinking out of the box. He is announcing the holidays as if he has already won the election. He beats Najib to that. The promise of two more free days will surely win thousands of votes especially from the younger generation. How come we never think of this idea? Seriously, we hope TDM would also approach DYMM now to seek his consent to receive and appoint the new government on the wee hours on the 10th May so that the new government will be fully incharge as soon as they touch the finishing line ahead. The forces, police, public authorities will work with the new government. Even if the loser start trouble, the new government is in power and can control the situation. Do not give them time to buy over the young winners !!! 9th May is important, 10th May is crucial. We shall throw a grand festival when PH becomes the new federal government. We gonna party like it is 1957!